Give us convenience! EZSTAX are flat plastic organizers that help keep your neat stax of stuff from turning into lumpy heaps. 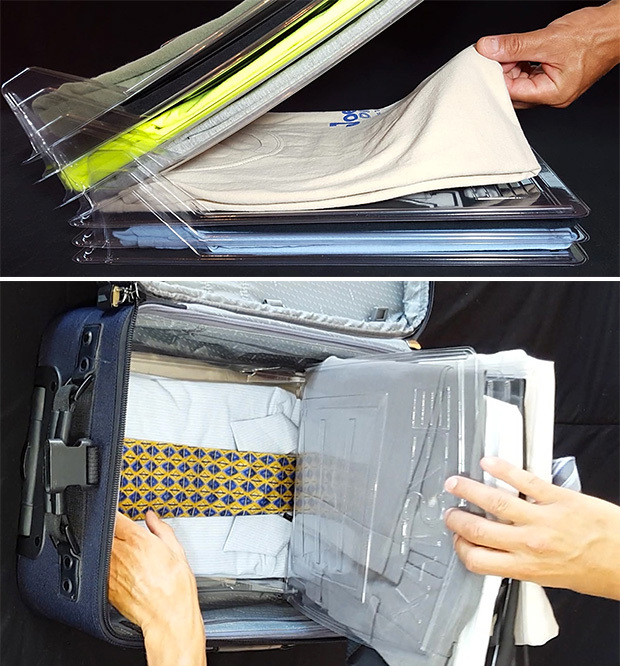 Use them for paper documents or your clothes for keeping luggage, dresser & desk drawers orderly. Another funded Kickstarter.